Being self-employed has its perks, including flexibility in your work schedule and the ability to work with the clients you choose. Along with the perks, come the risks of unpredictable income streams. Consequently, it’s especially important for you to get a good handle on your monthly spending and savings. This week, we’re sharing some tips on how you can create a monthly budget to help you manage the fluctuations in your income. Perhaps the hardest part of managing your finances is looking at what you’ve been spending money on. There can be a lot of energy wrapped up in our own judgment of how much money we have, how we’ve spent our money, and why can’t we do better. It’s important to release our judgments so we can objectively look at our numbers and create a realistic budget. In our freelancer accelerator, we suggest some resources to help release judgment, including reading The Energy of Money by Maria Nemeth or working with a money coach, such as Uptima graduate Sara J. Bronson & Associates. Housing: If you’ve purchased your home, include your monthly mortgage payment and homeowner’s insurance, as well as how much you spend annually on property taxes and maintenance. If you rent, include your monthly rent and any renter’s insurance. Utilities: The cost of your utilities, such as electricity, gas, water and waste, can vary from month to month. However, you may be able to make some of these expenses more predictable if your utility provider offers an option for budget billing, which averages out your costs to a consistent monthly fee. If you do take a budget billing option, be aware that if your total usage for the year is higher than what you paid in monthly fees, you will owe the difference. Internet & Phone: Both internet and phone are a necessity if you are working for yourself. You may want to check out different plans to find cost effective options, but make sure you choose providers with reliable and efficient service as they will have an effect on your efforts to earn income. Food: Look at how much you are spending on groceries and eating out every month. You may find that eating out is one place you can scale back as you build your business to a consistent income level. Personal Care: Look at how much you are spending on personal care products and services every month. This is another area that you might find you can scale back. However, be sure to leave some money for self-care as that will help you be more productive in your business. Transportation: If you have a car, include your monthly car payment, gas, insurance, as well as annual registration and maintenance. If you use public transit or ride sharing, look at how much you spend each month on transit fares or through ride sharing apps. Also, estimate any changes that may occur in transportation if you work from home and don’t have to commute as much, or as you grow your business and need to travel to visit clients. Medical: As a self-employed person, you are on your own for medical insurance. This may mean sharing a family member’s plan or finding your own plan. If you choose to find your own plan, there are options for the self-employed through the Affordable Care Act (at least for now). Either way, you’ll need to account for the monthly payments, as well as the cost of any prescriptions and other medical expenses. Family: If you have children or are caring for other family members, be sure to account for the portion of these monthly expenses that you pay for. Also, you may need to factor in some cushion for incidental expenses related to the care of family members. Personal Debt: Many of us have some form of personal debt that we’re paying down. Be sure to factor in your monthly payments for student loans, credit cards, etc. To maintain or improve your credit score, it’s important to stay current on these payments, making at least the minimum payment every month. Discretionary/Incidental: There may be times of year when you celebrate special occasions, take vacations, buy gifts, or there may be unexpected expenses from time to time, you may want to make an estimate for discretionary/incidental expenses. In operating your self-employed business, you likely have some business expenses, such as web hosting, technology subscriptions, association memberships, travel, meals with clients, etc. I recommend that you create a separate section of your budget specifically for these business expenses. Then, add together your personal and business expenses to get an estimate of your total monthly spending. As a self-employed person, your taxes aren’t taken out of a regular paycheck. But, you’re still required to pay them. If you’re operating as an independent contractor, sole proprietor, or are a member of a partnership, you are required to file an annual tax return and pay estimated taxes quarterly. So, be sure to calculate and set aside the appropriate portion of your monthly earnings to meet those quarterly payments. Because income is irregular, it helps to have a cushion of savings for times when income slows down. If you haven’t already made the leap to becoming self-employed, I recommend taking some time before you quit your full-time job to save up a bit of money to serve as a buffer while you get started. If you are already self-employed, I recommend getting disciplined about putting aside money during the months where your income exceeds your expenses. I like to take my dad’s advice and build up to six months of income, which is a reasonable estimate on how long it could take to generate income as a new freelancer or get back on my feet if something prevents me from working. 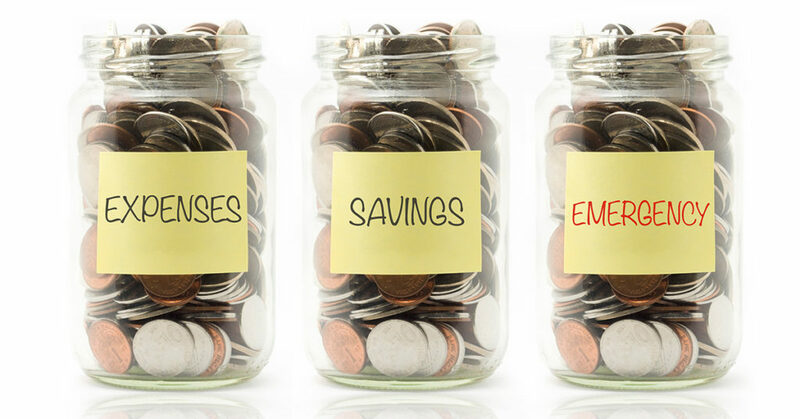 As your self-employed business becomes financially sustainable, don’t forget to start saving for the long-term – retirement, children’s college fund, or any other long-term needs. You can make savings a habit by allocating a percentage of the income you receive to go into a savings or investment account. Going back to my dad’s advice, I like to put at least 10% of my income away in an investment account. You may also want to look into a tax-efficient investment account, such as a myRA, Traditional IRA, Roth IRA, or Solo 401(k). Thanks, Rani. A very helpful gift of your guidance. I knew some of this but not all. Now I can integrate your tips.